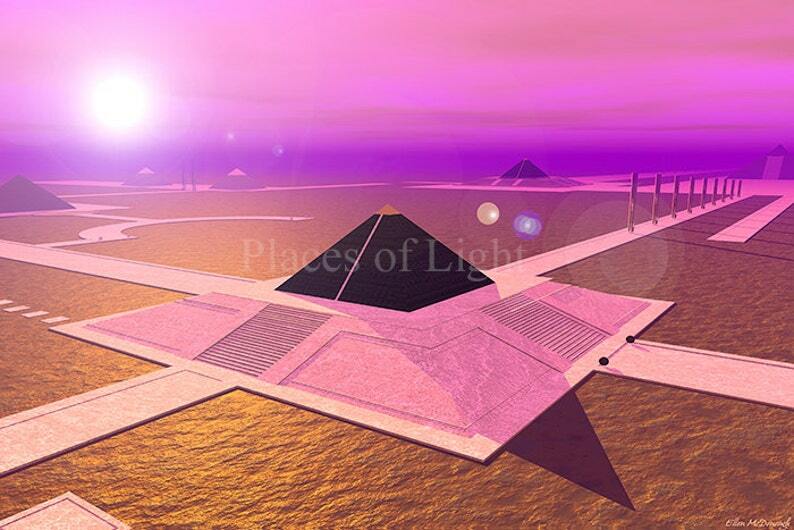 Beautiful scifi print of "Temples of Obsidian", which shows a network of black pyramids on a copper sea against a vibrant magenta sky. Item is printed on quality, semi-gloss archival paper. Great gift for the sci-fi/fantasy lover!! In a distant constellation stands a network of pyramids made of black obsidian. Inside these temples are stored billions of esoteric codes, which stabilize the energies of the constellation and allow for open communication and instantaneous travel between its stars.